This lovely gold-plated medal is just about 1 inch long and 5/8 inch wide. 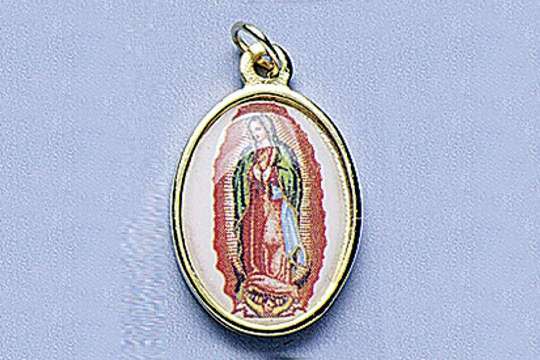 The captivating color image of Our Lady of Guadalupe (Nuestra Señora de Guadalupe). 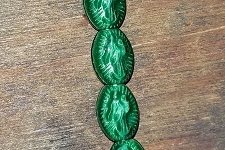 The image is sealed in protective epoxy, making it ever the more striking on a golden chain or silken cord. 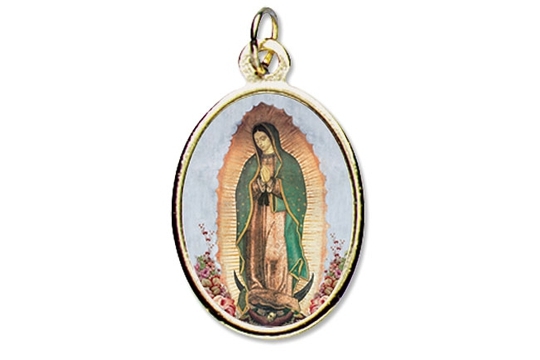 It is also lovely as an addition to your shrine or artwork, especially with a Mexican theme!